If you are willing to consider a different city, you are at an advantage in the modern job market. So, if you're thinking a change of scenery might help with your career, here are the Canadians cities with the best job prospects. 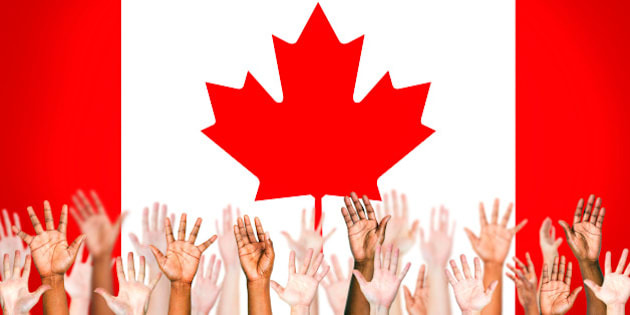 Multi-Ethnic Hands With Flag Of Canada For The Background. According to a recent employee survey, less than half of Canadians would consider relocating for a job. What does this mean? Canadians don't like to stray far from home evidently. It also means that if you are willing to consider a different city, you are at an advantage. So, if you're thinking a change of scenery might help with your career, here are the Canadians cities with the best job prospects. 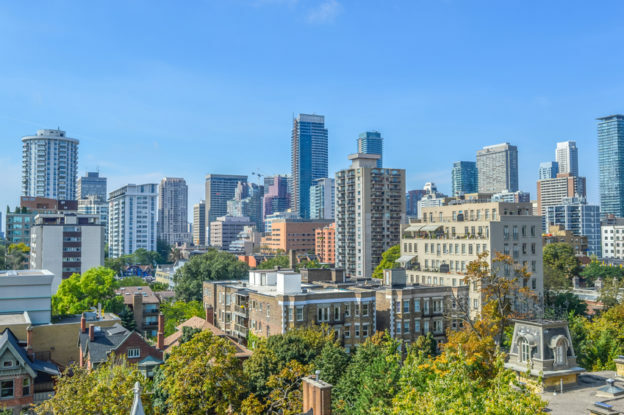 The most recent BMO regional report highlights Vancouver as being at the top among Canadian cities with the strongest labour markets. Vancouver's employment is in an upswing at 6.3%, while its jobless rate of 5.4% is at a 7.5-year low. This is great news for individuals interested in heading to the West Coast, particularly those in the trades, transport and equipment operations industries, which are the fields with the largest job vacancies. Find a job in Vancouver. Next to Vancouver, it is no real surprise that Toronto and the Greater Toronto Area (GTA) remain high on the list for the best employment opportunities this year. According to Robert Kavcic, the Bank of Montreal's senior economist, employment in the capital of Ontario has risen by 2.4% since last year. The Canada Job Bank reports that Toronto's highest job vacancies remain in the business, finance and administration sectors. In addition to these occupations, one of the largest growing industries in Toronto is construction. This is noted to be particularly in housing, which is required to support Toronto and the GTA's growing population size. Statistics Canada's quarterly report confirms this, outlining over 1,300 job vacancies in trade helpers and labourers in the GTA region. Find a job in Toronto. According to the Canada Job Bank and recent media outlets, federal and provincial funding totaling $236.6 million was announced this fall to support infrastructure projects across the province, including transit systems and wastewater projects. Regina and Saskatoon will see a number of jobs created by this investment, particularly in construction and labour. Not to be outdone, Saskatchewan's health care industry is quickly expanding, with more than 8,000 jobs forecasted in the next five years. Find a job in Regina. According to CBC, job seekers should look no further than Yellowknife for employment this fall. Though ongoing challenges in the mining industry are projected to remain present, the federal and provincial governments have provided over $69 million in funding for infrastructure projects relating to public transit, waste management and water. This will translate to an increase in vacancies in construction and trades-related jobs in Yellowknife. In addition to this, tourism is at an all-time high in the territories, with numbers of visitors and visitor revenue records broken this year. This will likely impact both food and hospitality industries positively as the local economy adapts to accommodate the influx of tourists to the area. See available jobs in Yellowknife. Though Calgary has been said to be one of the cities moving down the rankings with the oil and gas industry impacting Alberta's employment statistics, there is reason for optimism. The Calgary airport has just expanded and will reportedly create over 2,000 jobs with the opening of its new international terminal at the end of this month. These will include everything from airport security and airline staff to food and hospitality positions. In addition, employment projections for 2017 are looking better for the city of Calgary as the 2016 oil and gas recession begins to level out. Find a job in Calgary. According to TD Bank's recent job market trends report, the manufacturing industry in Nova Scotia is expected to make a return this year with an average of 12,000 jobs. More specifically, the manufacturing sector in North Sydney is growing largely due to the federal government's $26-billion Royal Canadian Navy contract. In addition, the North Sydney-based marine engineering company Canadian Marine Engineering Ltd. is on the move to expand its fleet with a multimillion-dollar investment. This is impacting the local economy with new jobs being created for ship construction and repairs, as well as a new pier that will reportedly require hiring over 100 new workers. Something catch your eye? Get busy doing your homework, and good luck!